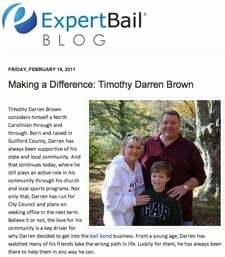 I saw a presentation at the MarketingProfs Digital Marketing Forum in Austin a few ago from Eric Granof, CMO of ExpertBail, which seeks to become the country’s first branded network of bail bonds companies. Like video stores before Blockbuster, and ice cream parlors before Dairy Queen, Expert Bail wants to add consistency and efficiency to an industry besot by Mom & Pop players that often run the gamut from unprofessional to downright unsavory. What’s particularly awesome about ExpertBail is their unyielding efforts to humanize an industry that has historically been something less than a people first business. 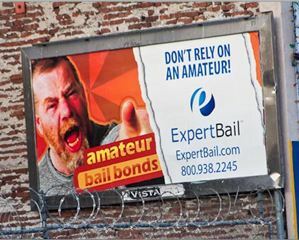 They have a truly fantastic print and outdoor campaign that manages to acknowledge the public perception of the bail bonds industry and paint a stark and humorous contrast between the people of ExpertBail, and “the other guys” known collectively as “amateur bail”. The bar coasters are an especially nice touch. Talk about location-based marketing! 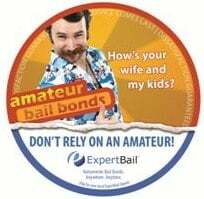 The humanization of ExpertBail continues in full force on their website, where they methodically demystify the ins and outs of the world of bail bonds with helpful, concise videos featuring a squeaky clean cast of girls next door. The only tiny complaint I have is that viewers/readers can’t ask follow up questions on the Web page, or easily share the videos in social outlets. Not coincidentally, the videos are also fully optimized, and rank well in Google and YouTube results for key search terms. They have presences across every major and minor social outpost, including a pretty decent Facebook page that has more than 3,000 fans. Quite an accomplishment, considering most people would try to avoid having “I like ExpertBail” show up in their stream! Nice job ExpertBail. If the tequila thing ever gets me in trouble, I’ll be calling. Every company is comprised of great people. Social media lets you prove it. ExpertBail is doing it. So can you. What do you think?